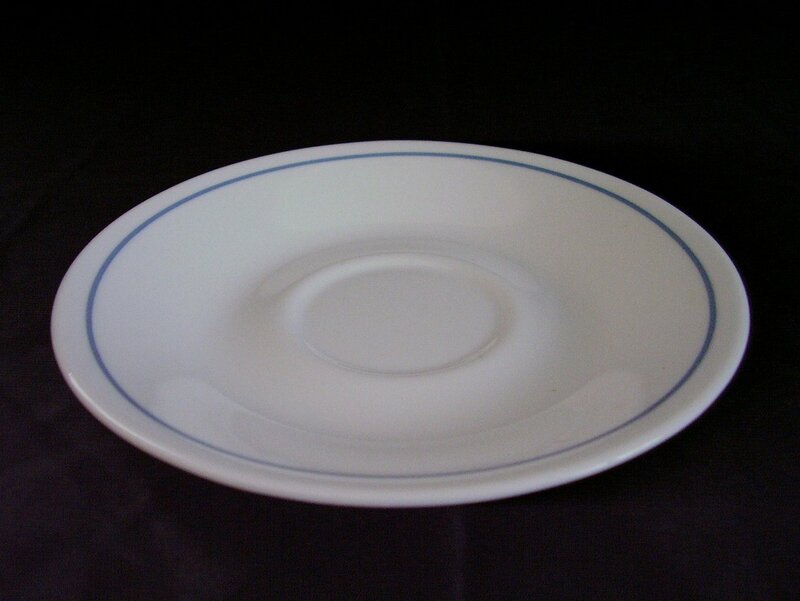 Corelle Queens Lace saucer. 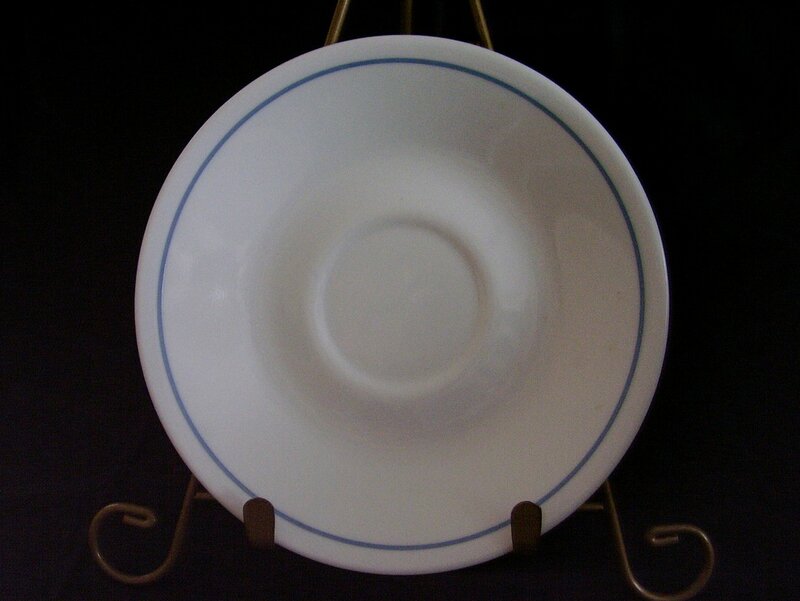 The saucer is white with a medium blue band that is centered about 3/8 inches from the rim . Microwave and dishwasher safe. In very good used condition, it has no cracks, chips or scratches. Decals are bright, shiny and intact. Measures 6 1/4 inches in diameter. There are extras available.